The first thing you'll notice when you walk into our Minden family dental practice is the incredibly friendly and inviting atmosphere. 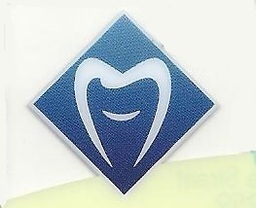 Members of our staff have been hand-picked to provide you the best possible experience during your visit to the dentist. Learn more about our team below. 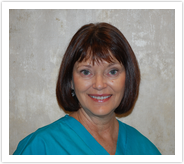 Christy has been with Minden Dental Clinic since 2000 and manages all operations of the office. Christy, husband Corey, and their 2 boys live in Shelton where they enjoy camping, ATV riding, spending time with family, and Husker football. 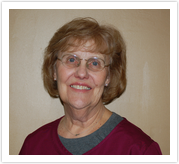 Born in Minden, Jane has been welcoming you to our office with a smile for over 30 years. Jane enjoys traveling, dancing, and spending time with her 3 children and six grandchildren. Diane has been with us for over 15 years and lives in Minden with her husband Jeff and their 2 children. Diane can assist with scheduling appointments and financial arrangements. In her free time, she enjoys scrapbooking, movies, and recycling. Linda grew up in the Minden area and received her Bachelor's degree from Nebraska. She and her husband Ralph have 2 kids, live in Minden, and enjoy golfing, reading, the Huskers, and spending time with their grandchildren. Visit Linda for a thorough cleaning and exam. 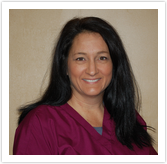 Shari, originally from Upland, joined Minden Dental Clinic in August 2015. She received her Bachelor of Science in Dental Hygiene from UNMC. She and her husband Larry enjoy golfing, traveling, and spending time with friends and family. A Sutherland, Neb., native, Hannah received her education from Central Community College in Hastings. 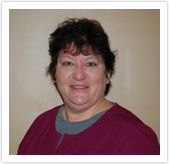 She moved to Kearney and joined Minden Dental Clinic in October 2016. She is dedicated to her work, and in May 2016 she traveled to Haiti to provide dental sealants to those in need. 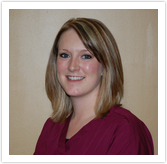 Hailey grew up in Minden and joined our practice in 2005 after receiving her Associate's Degree in Dental Assisting. She and her husband Daniel have one child and live in Minden where they enjoy camping, cooking, and spending time with family. 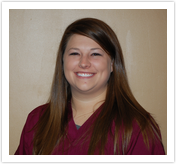 Amanda joined Minden Dental in 2009 and received her degree in Dental Assisting in 2010. A lifelong Minden resident, Amanda enjoys sports and is a Special Olympics coach and Unified Bowling partner. Megan joined the dental clinic in July 2015. She currently lives in Kearney, but she grew up in Wynot, Neb. She earned her Associate degree of Applied Science in 2015. She enjoys sports, camping, and spending time with her friends and family. 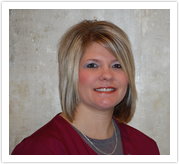 Beth joined Minden Dental in 2013 and brings over 10 years of dental experience to our office. Contact Beth for financial questions about your treatment plan. She and her husband Steve live in Campbell with their 4 kids and enjoy boating, fishing, and their kids' sports.